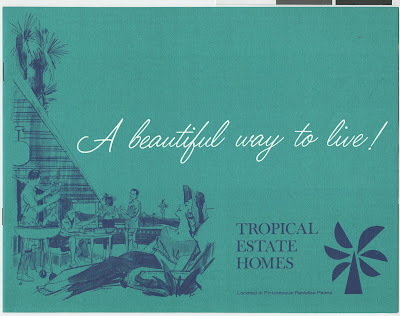 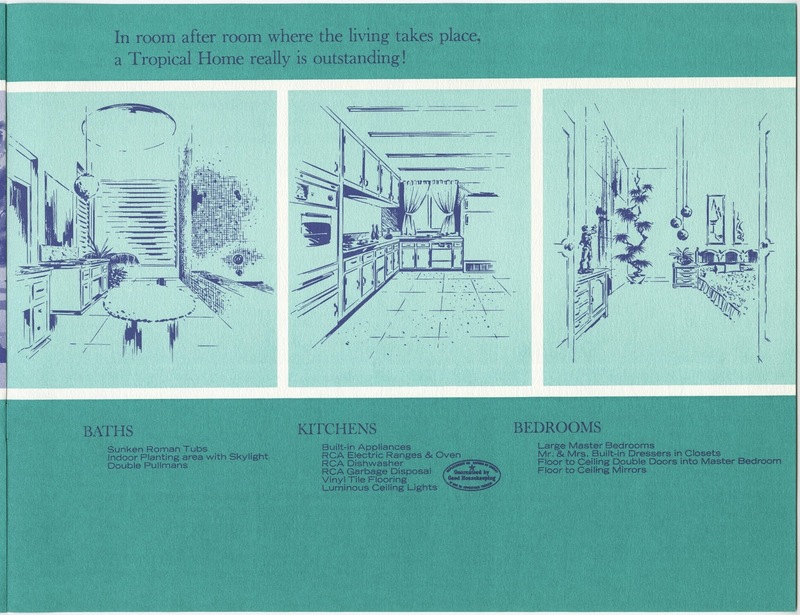 Thanks to UNLV Special Collections the Tropical Estates sales brochure has now been found. 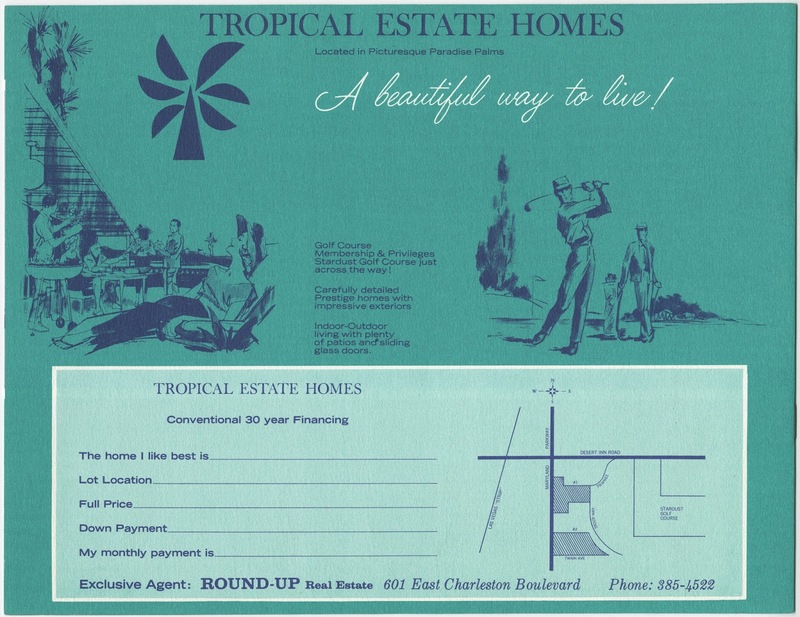 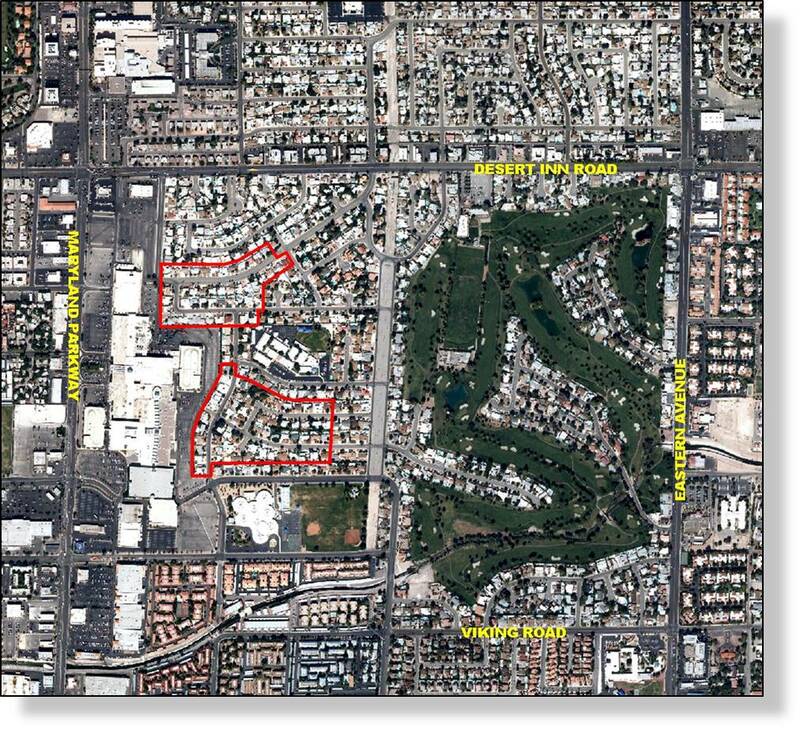 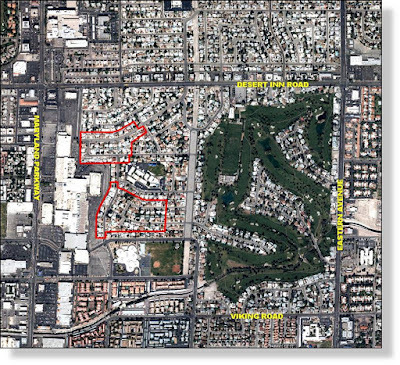 Tropical Estates is located roughly between Algonquin Drive, Ottawa Drive, Spencer Street and Pawnee Drive, and was built by Val and Lee Valentine, builders of the The Casino House. 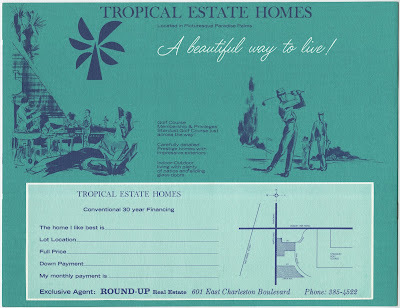 There are approximately 101 Tropical Estates Homes in Paradise Palms which incorporate some of the most unique decorative concrete screen block found in the neighborhood. 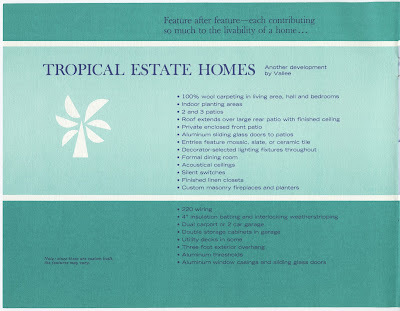 Other defining features of Tropical Estates include screened front patios/courtyards, sprawling ranch-style architecture, large sunken roman tubs in the master baths and double-door entries to the master bedroom. 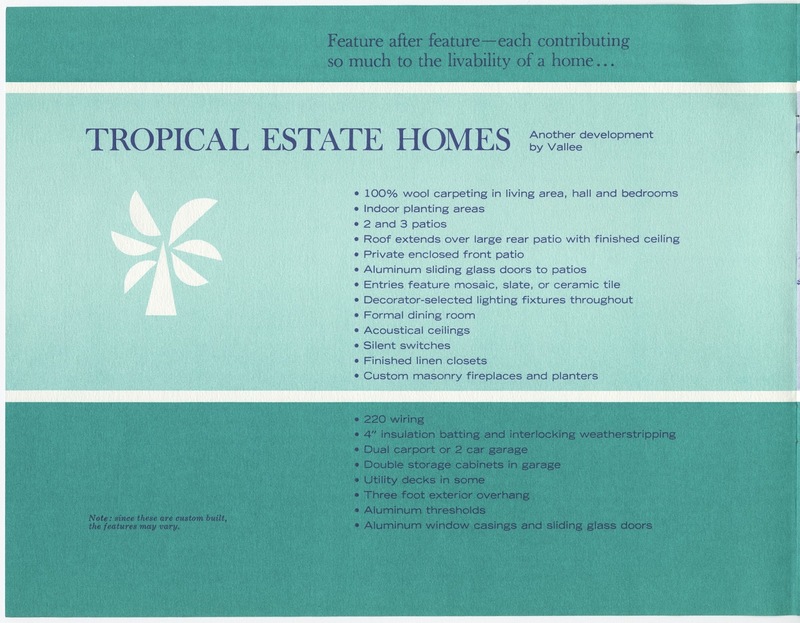 There were four initial semi-custom models available in Tropical Estates, which will be shared in separate upcoming posts. 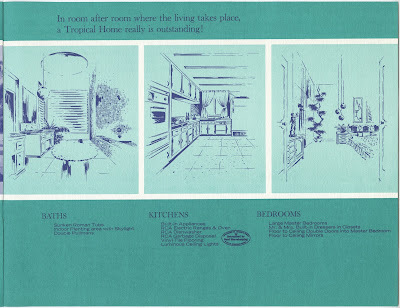 Here's a look at the original brochure, feature list, vignettes and location map.